Looking forward to an advanced screening of TDKR next week. 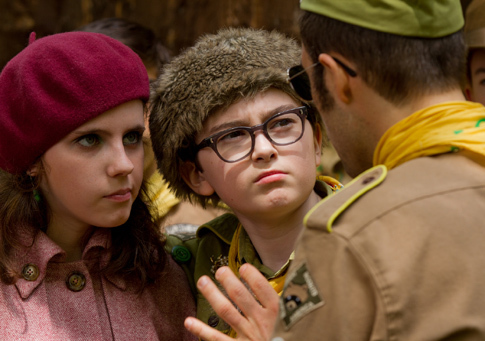 Moonrise Kingdom was fantastic! Also saw a preview for another Bill Murray flick/role that I’m interested in. Plays FDR, hosting the King and Queen of England on their first visit to the States, in Halsted on the Hudson (if I haven’t mucked up the title). Marwencol was also a treat. I saw that same trailer and think the movie looks very lighthearted and funny! Since you personally recommended “Marwencol,” out of those 17 films, I’ll be sure to watch it sooner than all the others I haven’t seen. Thanks for reading, Mike! I love reading your blog posts, Chloe! If only I could get my own blog together beyond jotting ideas down on paper and in email drafts. Are you all caught up on The Vampire Diaries? What a season finale!! Thank you, Melissa! I will be an avid read of your blog when you get it going. “Vampire Diaries” is my favorite show on TV because of that finale! I remember Woody Allen’s unexpected appearance at the Oscars, and his appropriately funny yet sincere, heartfelt introduction of that moving NY montage by Nora Ephron. I too love NY! Watched “Rare Exports: A Christmas Tale” last month – loved it! Well worth a watch. It’s not on Netflix (had to rent it through Xbox), but keep an eye out for “Extraterrestrial” (Extraterrestre) – just a dash of sci-fi overlaying an interesting cast of characters in a genre-defying comedy of errors/love story. Sounds like “Extraterrestrial” involves aliens! I am always interested in a good alien flick!